600 students gathered in the auditorium of Norristown Area High School to use music as a symbol of unison in the Coral Festival. Today inside of the auditorium at Norristown Area High School, roughly 600 students from Cole Manor Elementary School, East Norriton Middle School, Eisenhower Science and Technology Leadership Academy, Gotwals Elementary School, Hancock Elementary School, Marshall Street Elementary School, Paul V Fly Elementary School, Norristown Area High School, Stewart Middle School, and Whitehall Elementary School gathered to use music as a symbol of unison. “Seeing as March is ‘Music in Our Schools Month,’ this seemed like the perfect time to bring our vocal musicians together. 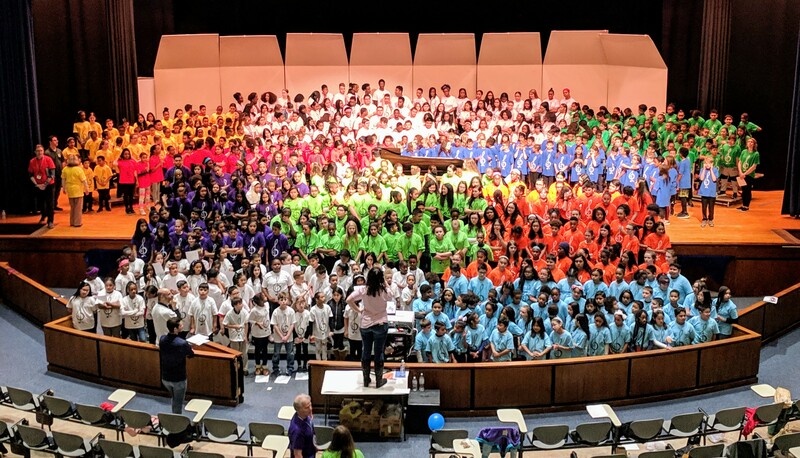 The NASD choir students were able to bring our community closer through sharing music with each other.” said Lynne Danoff, Choir Director at Norristown Area School.